Capability and comfort define the 2019 Mercedes-Benz GLC. This four-door SUV is stylish and elegant with plenty of luxury while still offering the power and versatility you expect in a sport utility vehicle. 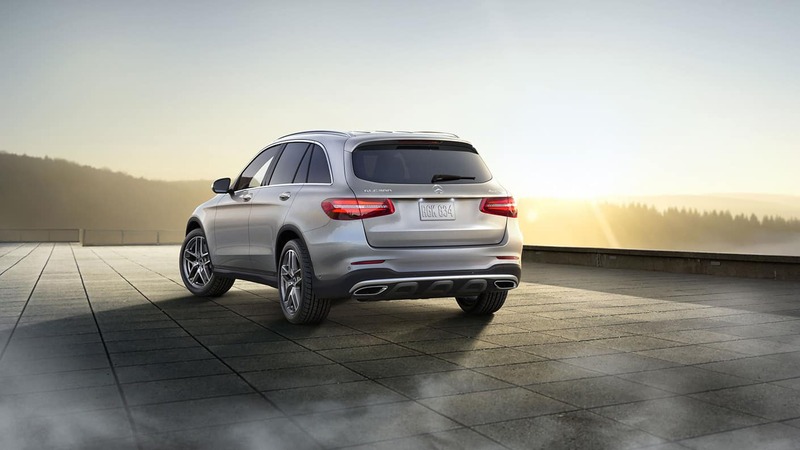 Have your choice of two trim levels: GLC 300 4MATIC SUV and GLC 350e 4MATIC. Exterior designs for the 2019 Mercedes-Benz GLC focus on a sporty style with a muscular body and long wheelbase. Extra stability comes from the wide track and large wheels. Chrome details add a touch of elegance to the SUV. 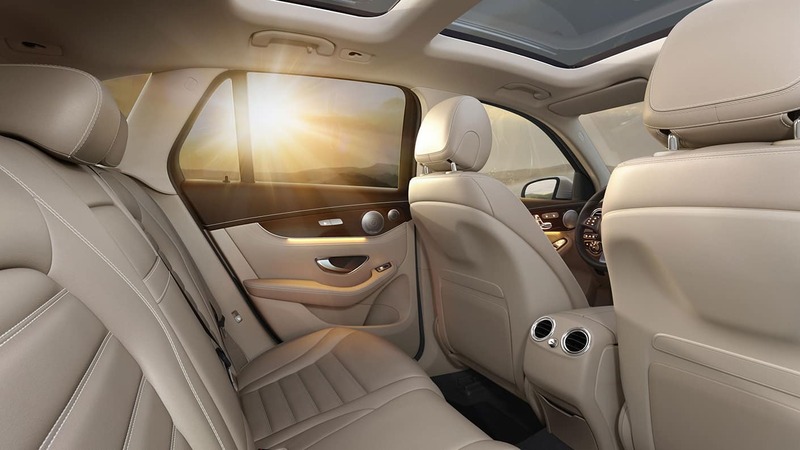 Sink down into the leather heated front seats of the 2019 Mercedes-Benz GLC. Lumbar support and memory enhance your comfort and convenience. Open up the panoramic sunroof to make your drives even more special. Always be connected and informed with COMAND multimedia and navigation for the 2019 Mercedes-Benz GLC. Thanks to the head-up display, you can keep track of important information while being less distracted from driving. Listen to your favourite tunes through the available Burmester audio system. Available voice control allows you to keep your hands on the wheel. Bluetooth streaming gives you more media choices. Add SiriusXM Radio for even more options. Enhance the 2019 Mercedes-Benz GLC with the right accessories. Add a trailer hitch if you want to pull a trailer or RV to go camping. Aluminium running boards are stylish and practical. If you like playing in the snow, you might find the ski and snowboard bag a convenient accessory. All are designed to work with your model. Under the hood of the 2019 Mercedes-Benz GLC is a powerful, efficient engine. Along with the 2.0L turbo engine is a nine-speed automatic transmission which gives you five modes to choose from. If that’s not enough power, you will appreciate the 4MATIC all-wheel-drive system that keeps you out on the road when others are sidelined. 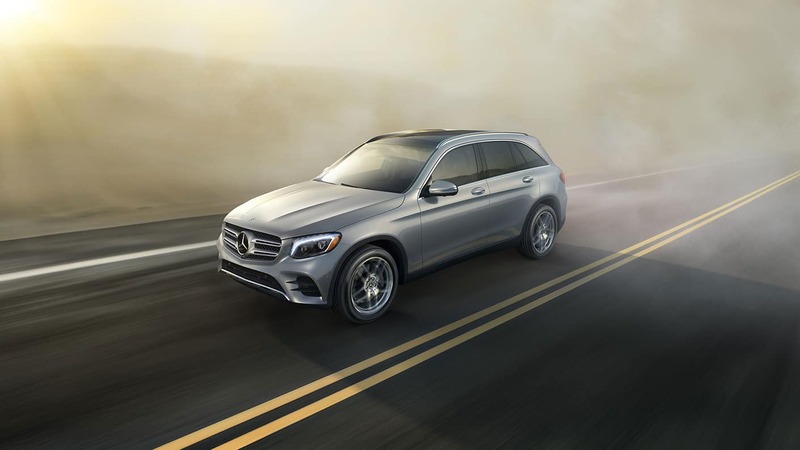 Recognized as a leader in its category, the 2019 Mercedes-Benz GLC is designed to impress. Experience premium safety for the 2019 Mercedes-Benz GLC with modern systems. Trust the warranty behind the 2019 Mercedes-Benz GLC. Basic limited warranty: 3-year / 60,000 KM – Excludes normal maintenance and wear items. Surface corrosion warranty: 3-year / 60,000 KM – Excludes normal maintenance and wear items. Roadside assistance: 5-year / 100,000 KM – Roadside Assistance is available 24 hours a day, virtually anywhere in Canada or the continental United States. Some conditions apply. See Mercedes-Benz Edmonton West for full details in Edmonton, Alberta, Canada. With the 2019 Mercedes-Benz GLC, you don’t have to trade luxury for function. This SUV is both stylish and powerful, versatile and comfortable. Designed for the modern driver, this vehicle features advanced technology, lasting comfort, entertainment and information for every journey. Get to know the 2019 Mercedes-Benz GLC and what it has to offer with a test drive from Mercedes-Benz Edmonton West. Your local Edmonton Mercedes-Benz Dealer – Mercedes-Benz Edmonton West offers a large selection of vehicles to ensure you find the perfect model for your unique lifestyle.